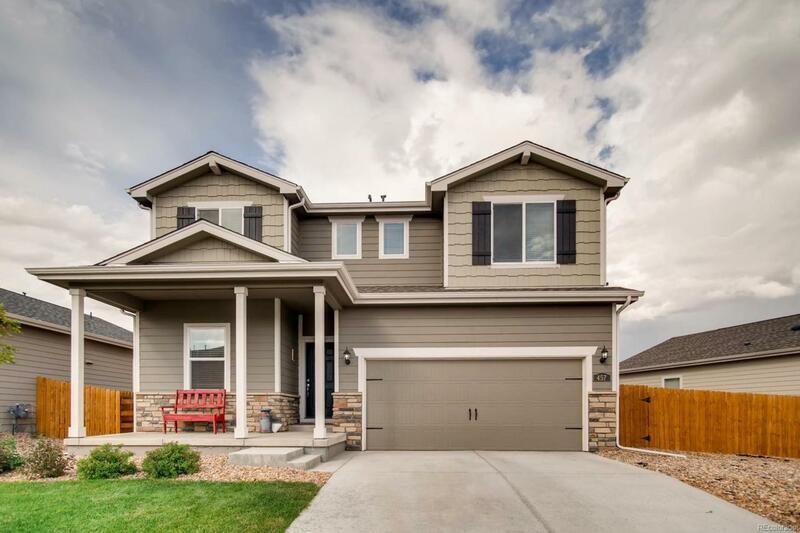 Stunning 4 bedroom, 3 bath two-story home in the newer Bella Vista neighborhood. The open floor plan features a beautiful kitchen with slab granite counter tops and all appliances included that opens to dining area and living room. The main floor also has a formal living room, guest bath and you will love the back deck for your BBQ and entertaining. The master bedroom suite has a five-piece bath and a large walk-in closet. Three more bedrooms, a loft area, a conveniently located bedroom-level laundry room and a full bathroom complete the second floor. Don't miss this meticulously maintained home!